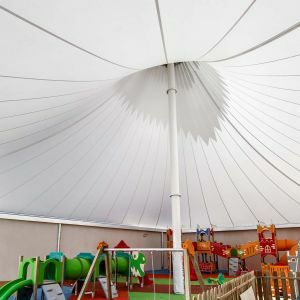 25m x 24m x 22m x 17m approx. 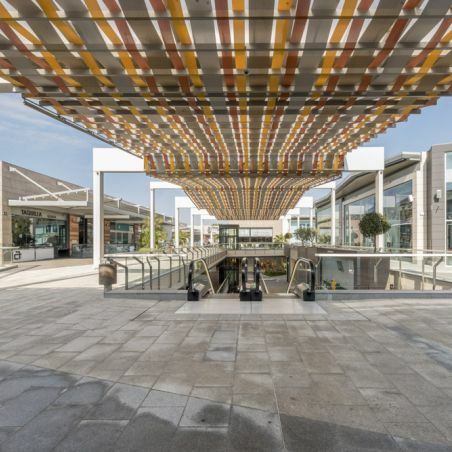 VILLAGE DES MARQUES in Miramas is the first Outlet Village in the south of France from the McArthurGlen group. 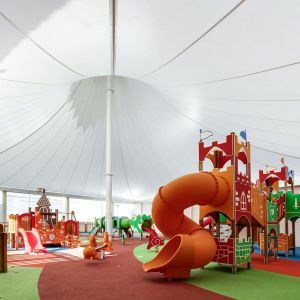 Within this great project of creating a new shopping and leisure space with the setting of a Provençal village, the need arises to create an indoor playground. 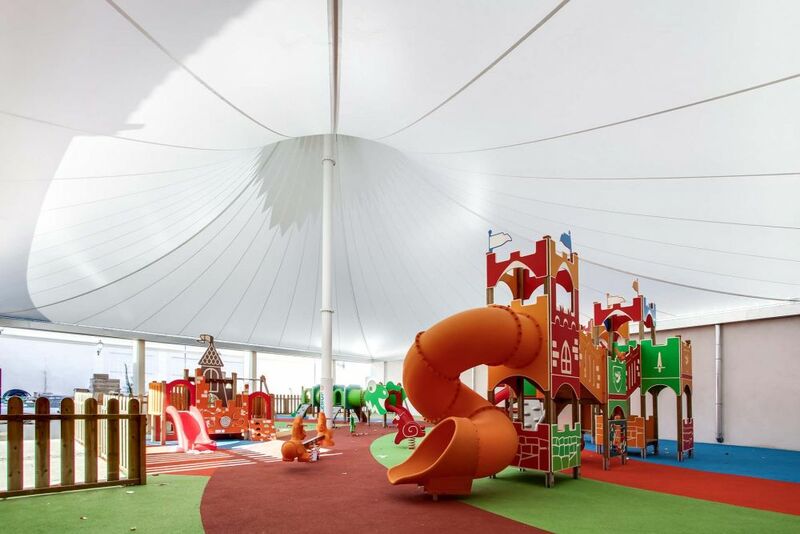 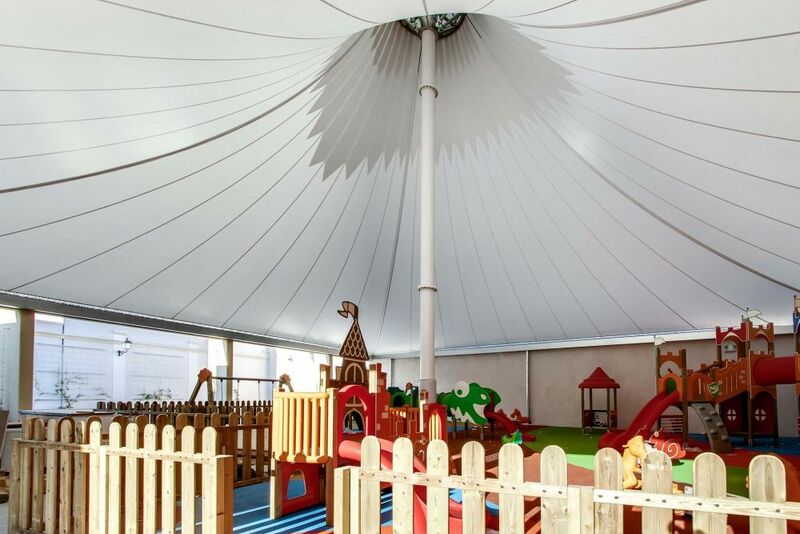 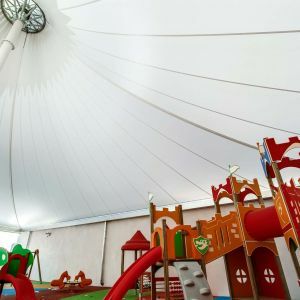 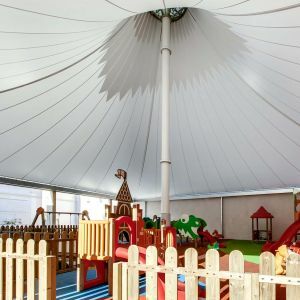 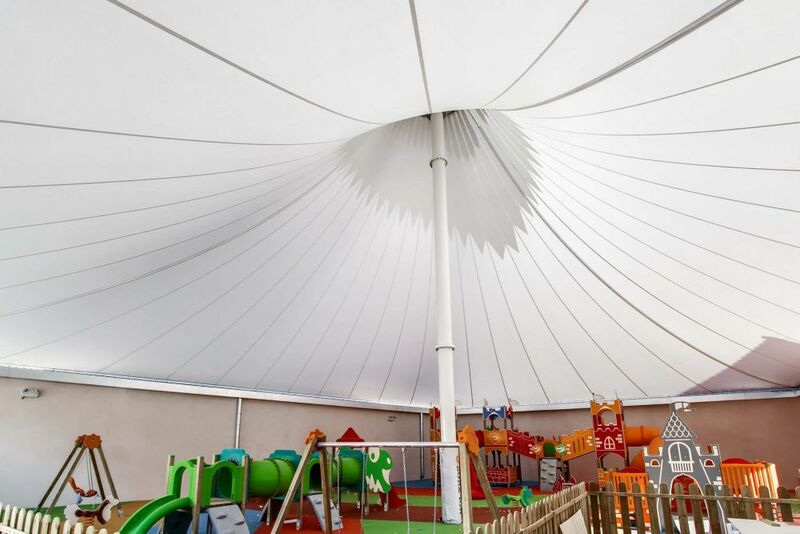 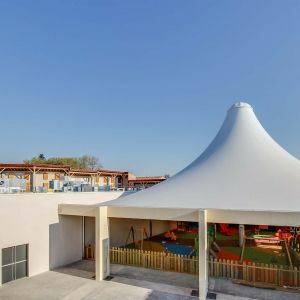 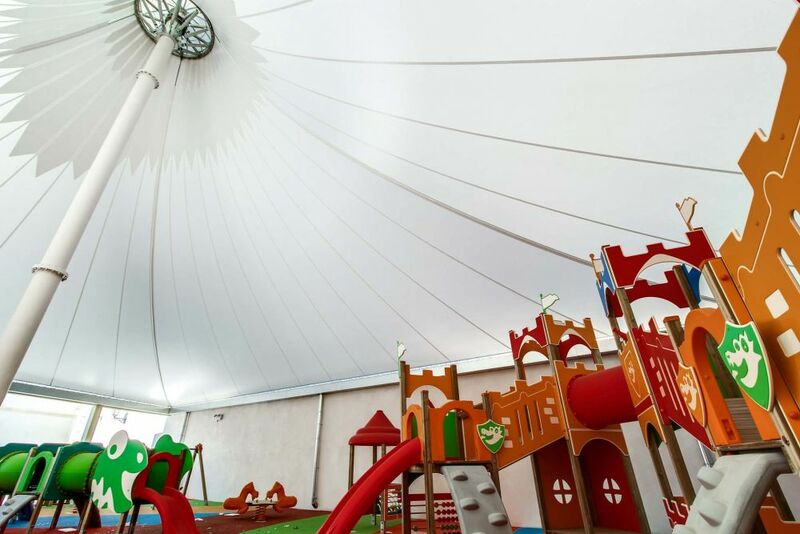 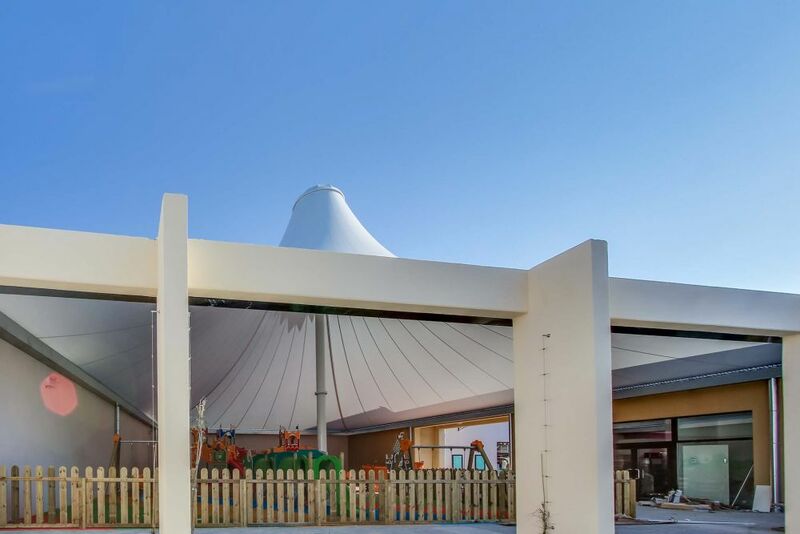 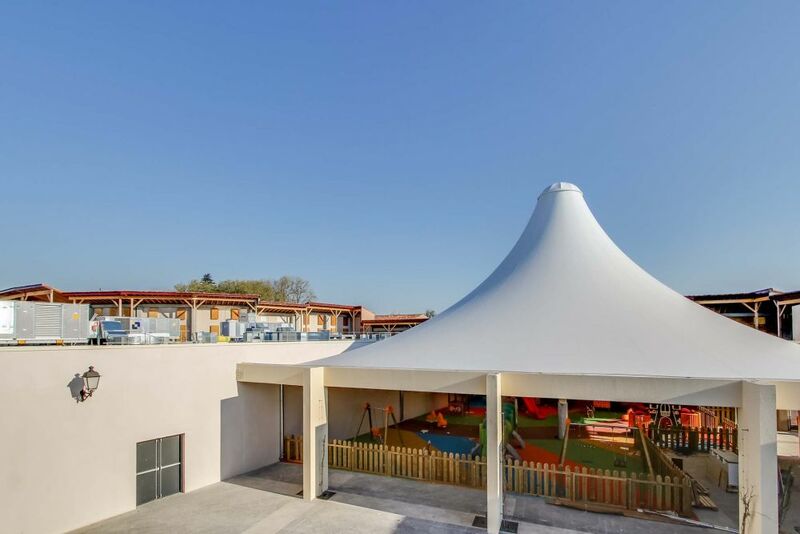 In this environment with a Provençal village design our marquee is placed: a large tensioned canvas made from PVC protects the area from the weather, covering a playground area of ​​about 480m². 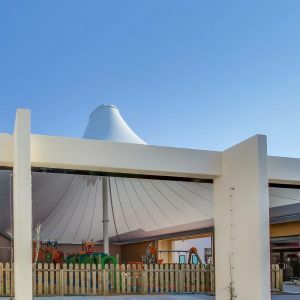 The central mast of the tensioned structure leaves the entire surface of the play area free and raises the deck to almost 15m in height, giving it a conoidal shape. 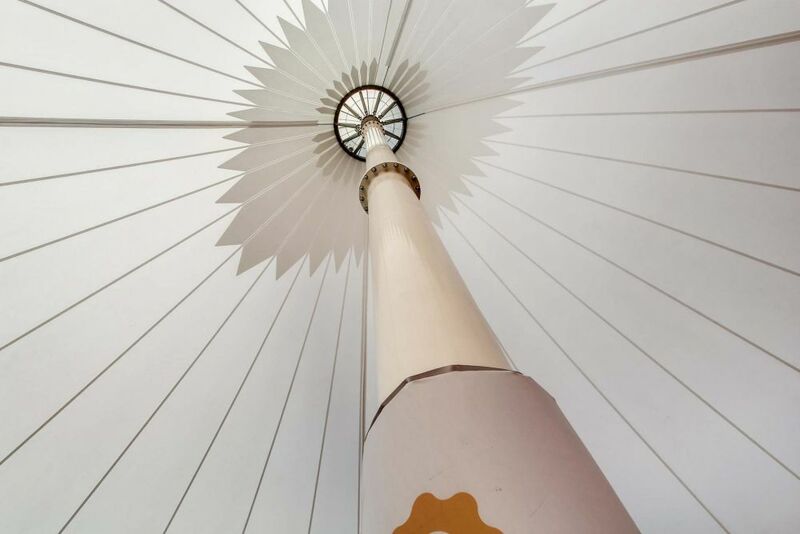 The top of the mast ends in a crown that secures the canvas at its highest point. 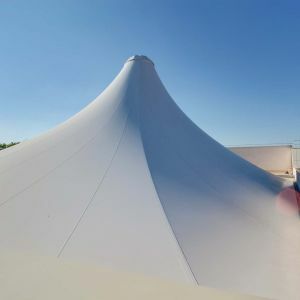 On the crown, the cap is fastened, which allows the ventilation of the space and maintains the protection against rain. 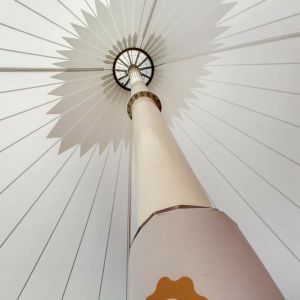 As for the base of the mast, it is embedded to the foundation and allows the passage of the electrical wiring through its interior. 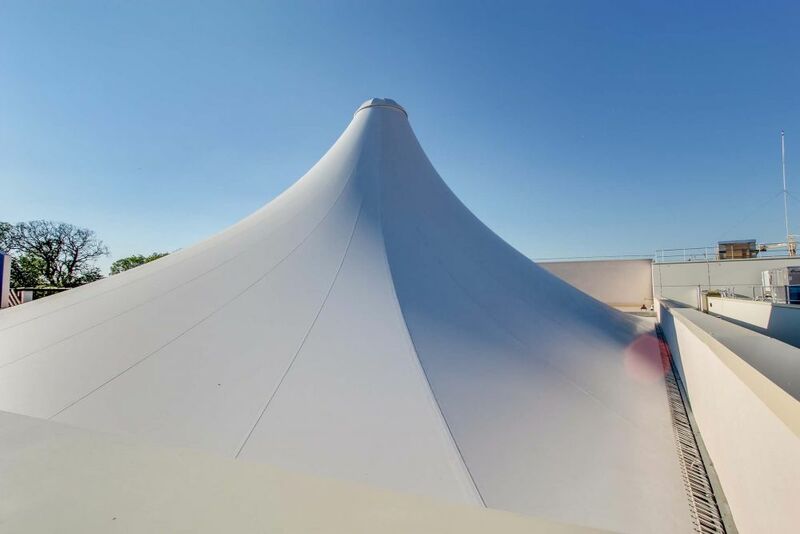 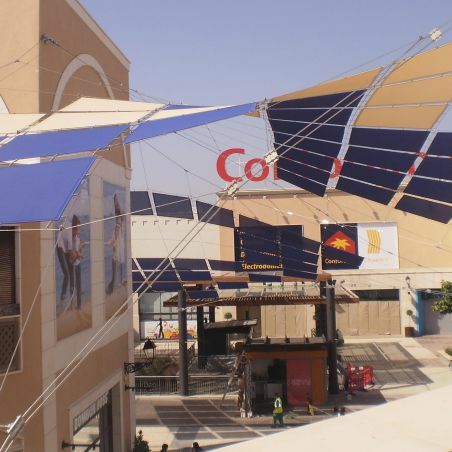 Throughout its perimeter, the white PVC canvas is anchored to the four walls through a tying system to a metallic section (UPE type) and four diagonal cables that prevent excessive deformation of the marquee due to the wind and the appearance of water bags on the canvas. 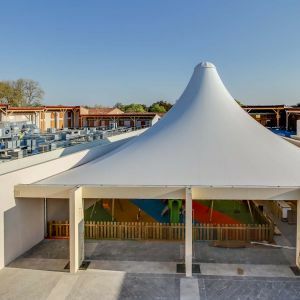 The UPE section serves as a fastening element for the channel system and six downspouts, which collect rainwater from the tent and lead it to the sanitation network. 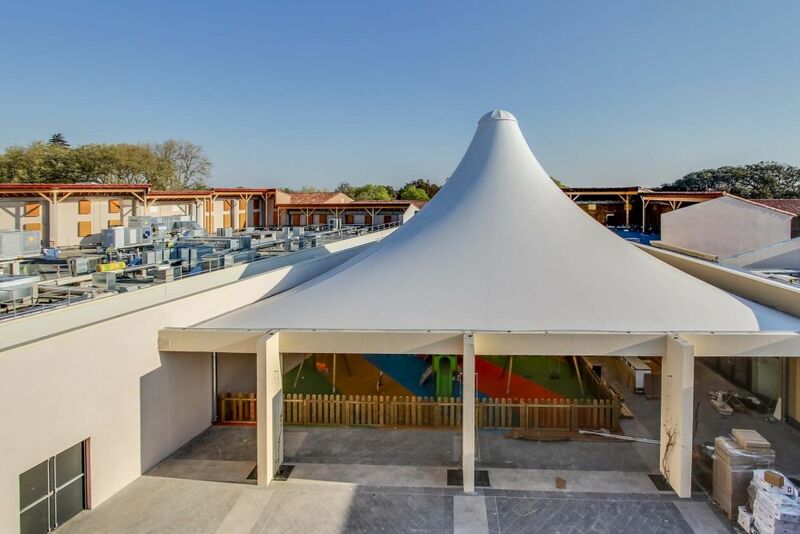 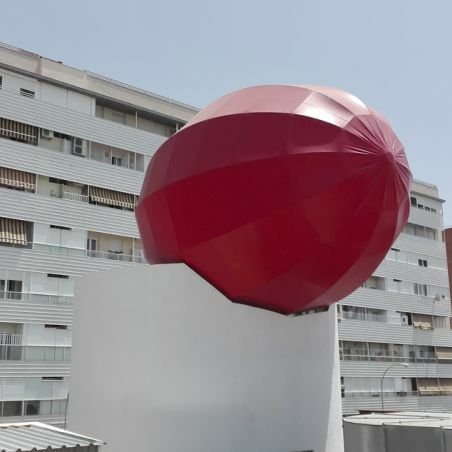 For the installation of this tensioned covering a crane was used to carry the material to the playground, to install the mast in the foundation, to unfold the canvas, to secure it provisionally and to place the cap. 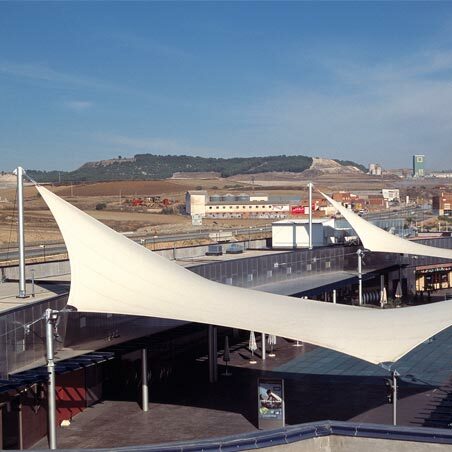 Subsequently, it was tensioned with baskets, the and the channels and diagonal cables were installed.